Tata International offices across the globe marked the run-up to the 56th Foundation Day on November 30, 2018 by celebrating Ethics Week from November 26 – 30, 2018. Mr Ajay Ponkshe, Chief Ethics Counsellor of Tata International was well supported by all Location Ethics Counsellors in the initiatives that are part of the annual activities around this celebration. 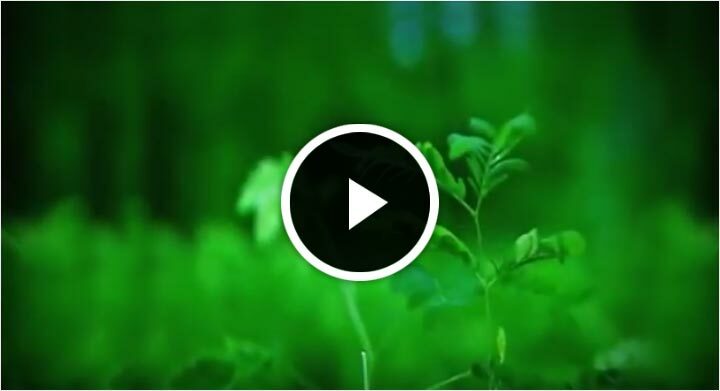 “Tata International prides itself for its high ethical standards. Guided by the Tata Code of Conduct, we expect our employees to uphold its tenets at all times, and act in a manner that reflects the Group’s principles. We have nominated Ethics Counsellors at all locations who help drive this agenda and step in to guide team members if required,” said Mr Ponkshe. As part of Ethics Week, a host of engaging activities were conducted. 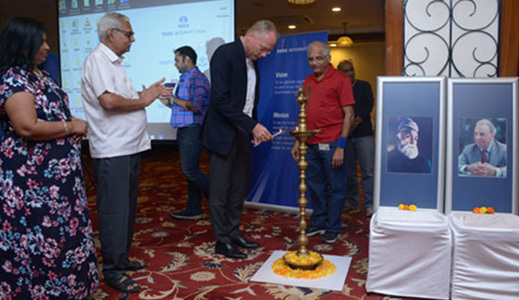 The focus is to create awareness on the importance of Ethics within the Tata ethos while highlighting the values and reiterating the company’s commitment to Ethics. Globally, employees participated in various engaging and enriching activities, namely, an e-learning programme on Ethics; an Ethics Quiz; Ethics talks by experts; and i-Run for Ethics. “i-Run for Ethics is very popular among all employees. This initiative was conceptualised to engage team members while making a visible mark in the company’s external ecosystem. The name and the visual representation are created to generate awareness for the cause while highlighting that we believe in ethical conduct and are ready to demonstrate it through our actions. Of course, the adrenaline pumping through the veins during this activity is an additional health benefit. This event is conducted by our offices across the globe and garners a great amount of enthusiasm, no matter which geography,” elucidated Mr Ponkshe. 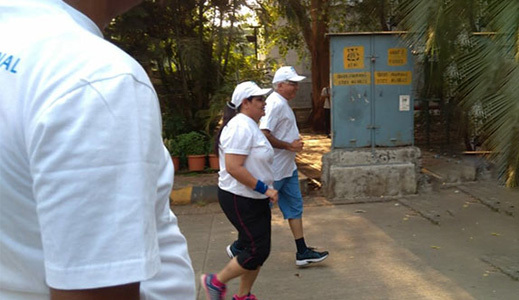 i-Run for Ethics at Mumbai was led by the Chief Ethics Counsellor, while Ethics Counsellors led the runs at their respective locations. This helped drive the fact that the company is value-driven and encourages employees to keep a healthy lifestyle. Dewas and Chennai teams ran to demonstrate their commitment to Ethics. In South Africa, teams from Tata Africa Holdings and TCS joined forces and participated in the run to raise awareness on Ethics in the workplace. Tata in Africa that has adopted two schools (Alexandra High School and Windmill High School), as part of a CSR initiative through the Bridging for Life Program, spread the message on Ethics to the students, who also participated in the Ethics run. “Our endeavour is to plan a few impactful activities that will help cascade the culture of ethical behaviour to our teams. We try and facilitate this through learning and experience sharing,” he explained. Tata World hosts an e-learning programme on Tata Code of Conduct. Team members were urged to take this programme and those who successfully completed the programme were felicitated. The Ethics Quiz conducted globally was based on situations that one could encounter in professional life. This initiative saw wide participation, with a total of 35 responses being received from all verticals. All the winners were felicitated. In Tanzania, staff members completed the Quiz in an effort to increase their knowledge on ethical issues. Those who completed the quiz to a satisfactory level were rewarded. Hong Kong team members participated in the Ethics Quiz and best performers locally were felicitated. Mr Rakesh Sharma, Senior Vice President and Chief Ethics Counsellor, Tata Teleservices, conducted an interactive session with the senior leadership team globally on means to further perpetuate the Tata Code of Conduct in the organisation. He shared key insights into managing and evangelising ethics in the ecosystem. Held on November 28, 2018 at Mumbai, a number of senior leaders and Ethics Counsellors from various locations across geographies joined in through video conference, as he shared his experience in this area. The Zimbabwe team took a thorough look at the Tata Code of Conduct as reinforcement on how one should conduct and handle themselves in the workplace at all times. In Mozambique, employees discussed the effects of good, ethical and bad behaviour, with emphasis on how ethical conduct applies to all aspects of the business, and that good ethical conduct impacts the individual and the company as a whole. With the purpose of motivating good behaviour, employees who have set a good example in the workplace were recognised by being awarded certificates. The day was concluded with each employee taking part in a clean-up session of their work premises. 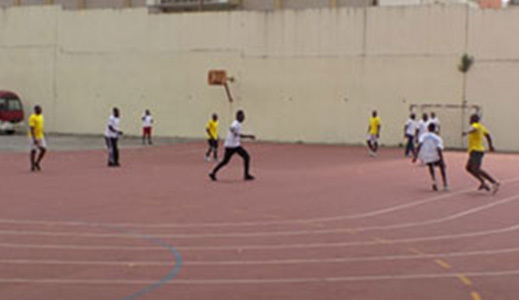 The team in Cote d’Ivoire played a football match at the Felix Houphouet Boigny Stadium in Abidjan. This was followed by a yoga session. “Celebrations cannot be complete without giving back to society. The teams undertook a few volunteering activities,” added Mr Ponkshe. In Tanzania, a blood donation drive was organised for a cancer institute, where 25 team members donated blood. Mumbai team visited the NGO ‘Save the Children’ and interacted with the mentally challenged and hearing impaired children. They played games with the children and engaged in activities such as drawing and colouring. 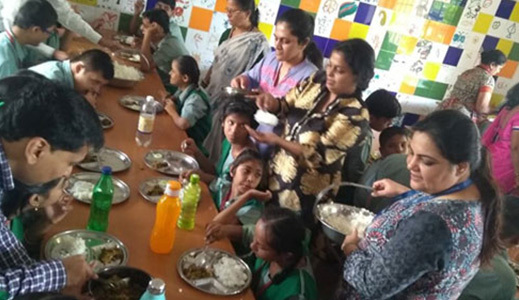 The engagement ended with the team sponsoring and serving lunch to the 250 children who attend the centre’s school. The Ethics Week activities culminated in Tata International employees globally celebrating the 56th Foundation Day of the company. The teams gathered together and paid homage to the Tata group founder, Jamsetji Tata and group Titan, JRD Tata. 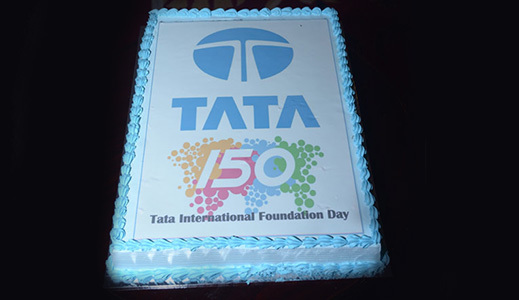 As the Tata group is celebrating 150 years in 2018, a cake featuring the Tata 150 logo was cut by teams at different locations.